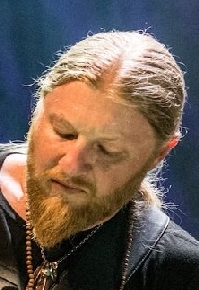 Derek Trucks is recognized as one of the all-time great slide guitarists, and after a long tenure in the Allman Brothers Band is now co-leader of the Tedeschi Trucks Band along with his singer/guitarist wife Susan Tedeschi. One might say that music is in Trucks’ blood: his uncle, the late drummer Butch Trucks, was a founding member of the Allman Brothers Band, and the name “Derek” came from “Layla” band Derek and the Dominoes, which featured Eric Clapton and original Allman Brothers’ guitarist Duane Allman. For the curious, in Dominoes-speak, Derek = Duane + Eric. Fittingly, the young Derek Trucks shared the stage with Eric Clapton, plus many, many others. The Tedeschi Trucks Band released their third studio album Let Me Get By in 2016, and their second live album Live from the Fox Oakland in 2017. The following is a list of some of the notable musicians who passed away in 2016, including a few who performed in the Santa Barbara area in recent years. Some are well-known, many are not, but all are worthy of our respect. R.I.P. – Rock In Peace.